Windcroft is a wonderful neighborhood community of cluster homes located in Acworth Georgia (Cobb County). This beautiful side-walk community offers a park-like setting ideal for afternoon walks, jogging or lounging by the gazebo. We are located within a few minutes of I-75 North making access to all of the best of Atlanta fast and easy. Windcroft has only one entrance/exit to the 369 home subdivision which minimizes traffic volume making it a safer and more private community. There are more than 60 cul-de-sacs in the Windcroft community making finding your dream home a breeze. Construction began in 1996 and the entire community was completed in 2001. These low maintenance homes are constructed with one and two-story designs and feature vinyl siding with brick or stack stone details. Various floor plans feature hardwood foyers, elevated ceilings, fireplaces, and two car garages. The Homeowners Association takes care of maintaining the common areas and all of the individual front lawns. Residents maintain their own backyards. All homes have 6 ft. privacy fences around the backyards. 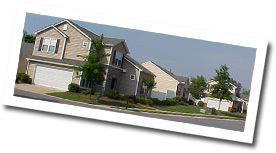 The www.WindcroftHoa.com web site is a comprehensive database of information provided by the Homeowners Association for the residents. There are both public and private sides of the web site thus not all of the information is available to the public. If you are coming to us from the public side there are many features that are not available to you. However, please feel free to tour through the public areas to learn more about Windcroft and how you can make it your home! The neighborhood has just recently closed out to new construction; however, there are always homes on the market!! If this is your first visit to this site, please utilize the Login Request form on the Login menu above. Having problems logging in? E-mail us at [email protected], utilize the Login Request Form on the Login menu herein, or on the login screen, utilize the Forgot Password link. If emailing, please confirm the spelling of your last name and verify your house number.